I admit, I'm not much of a nightstalker. But Coron is a place where I can feel absolutely safe walking in almost complete darkness near midnight (not something I'd want to do here in Manila, wielding a DSLR). Here's my take at the pantalan in Coron. hey!!! 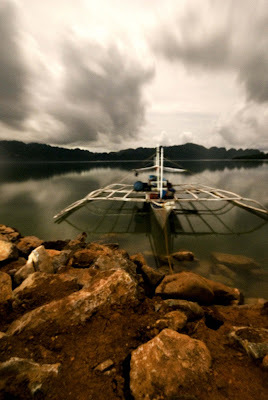 im from coron... tnx for posting about my hometown.. i like ur blogg..very much... well get soon..